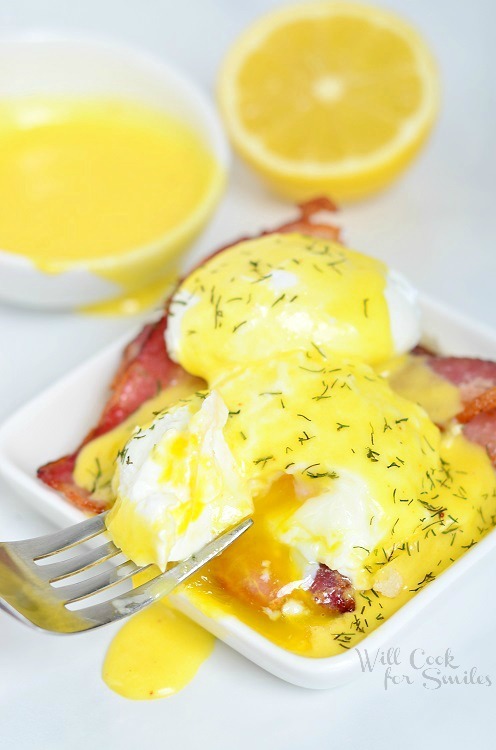 Continuing with the basic sauces and today I’m sharing Hollandaise Sauce. 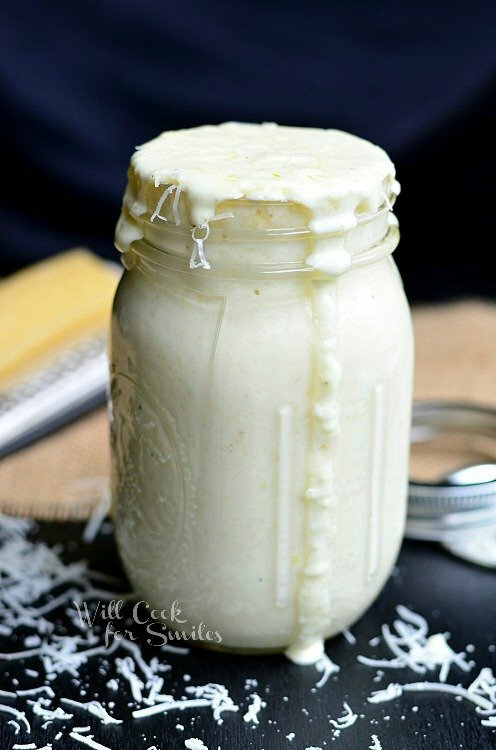 This smooth, delicious sauce and only has a few ingredients. I found a way that makes this sauce fairly easy to make. When I was planning my basic sauces series, I asked my Facebook fans about the sauce they really wanted to see. Many said that they wanted to see Alfredo and Marinara, of course, but there were a couple of people who suggested Hollandaise sauce because it’s tough. I hear it all the time that people are scared of this sauce. It’s completely understandable. And guess what? I’ve been scared of this sauce for years! I mean common, it’s a sauce that is made by beating the heck out of egg yolks while slowly adding warm butter … you can’t stop vigorously whisking either! I can’t tell you how many times I’ve turned over the bowl while doing it and had it all spill. I love Eggs Benedict but it didn’t used to seem to be worth it. I am not scared of it anymore and neither should you! Technology makes things easier for us for a reason!! My mom will definitely agree with this statement. She always tells me stories when they had to make the puff pastry by hand or vigorously whisk things to make them thicken my hand. Our experienced chefs will be the first to say “thank you” for kitchen gadgets that make life easier. I found a great way to make this sauce easier to make. I use my handheld immersion blender BUT with the whisk attachment. This takes out all the pain of vigorous whisking. I love it!! 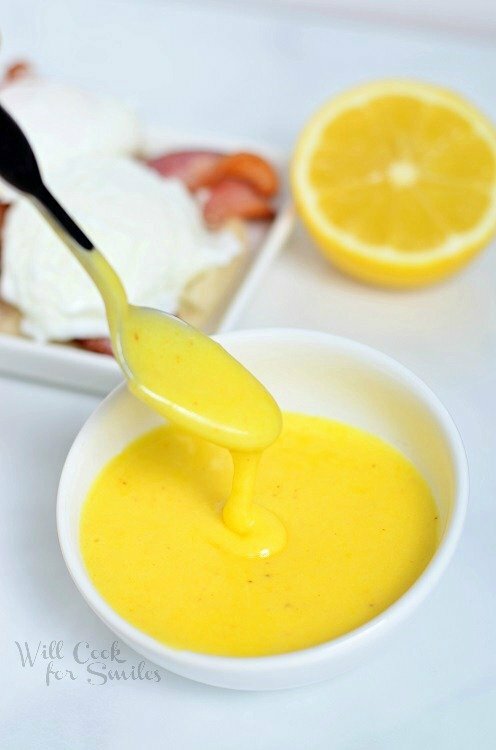 I'm sharing Hollandaise Sauce this smooth, delicious sauce and only has a few ingredients. I found a way that makes this sauce fairly easy to make. Separately, melt the butter and set it aside. Heat up water in the double boiler on medium heat (make sure that the water in the bottom pot doesn't touch the top pot). If you don't have a double boiler, set a mixing bowl (glass or metal) on top of the pot. 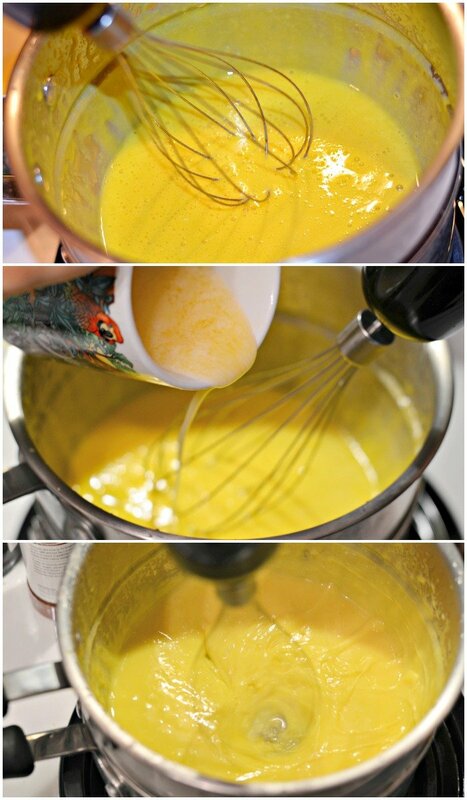 Using the handheld blender with the whisk attachment, whisk the egg yolks and lemon juice for about a minute. Very slowly, start drizzling the butter as you continue to whisk. 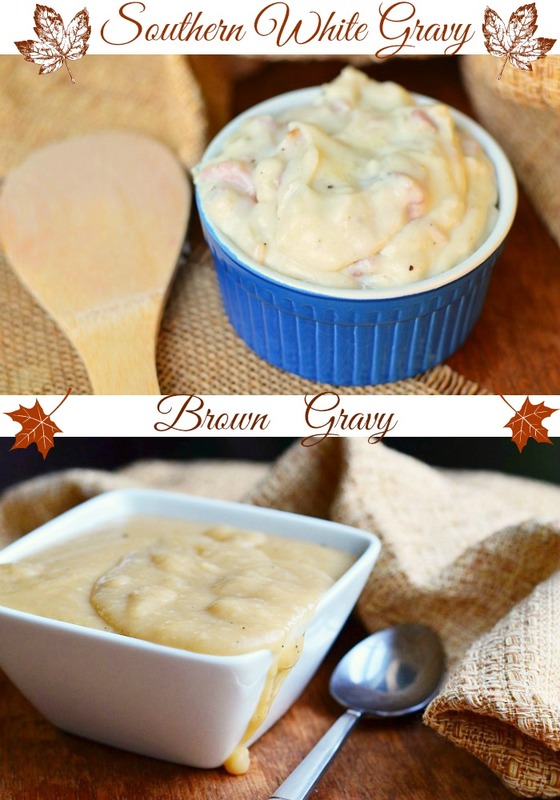 Continue whisking as the sauce lightens, thickens and about doubles in size. Take off heat and stir in salt and cayenne pepper. Cover with saran wrap while preparing breakfast. 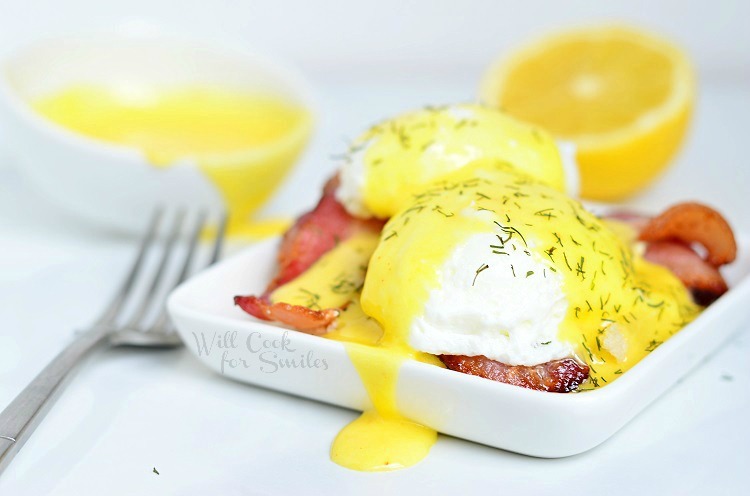 Eggs Benedict is the most popular way to use Hollandaise sauce. 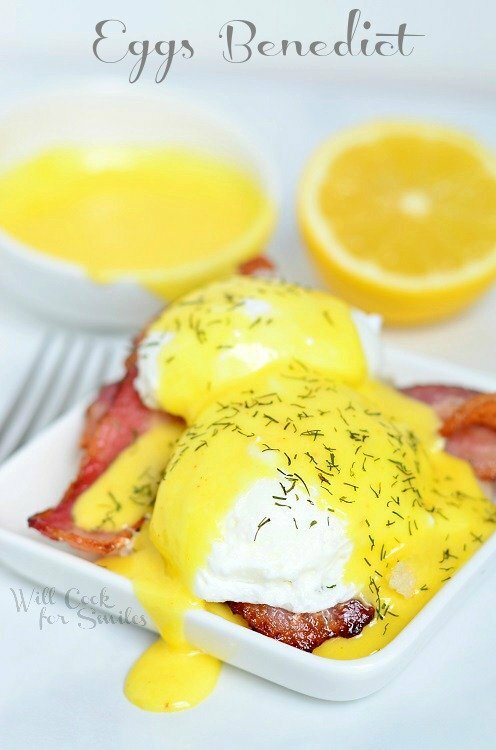 I absolutely love Eggs Benedict and I love to make it with different meats. I’ve used Canadian bacon, ham, sausage and even smokes salmon (mmmm, smoked salmon…)! Let me give you another great idea for using this sauce. Savory waffles!! 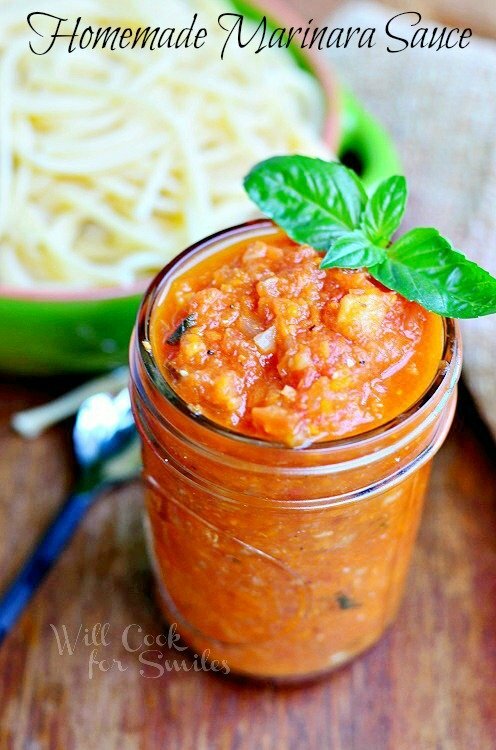 This sauce would be perfect on top of some Smoked Cheese and Green Onion Waffles. I love this sauce series. I have actually never had hollandaise sauce or eggs benedict. I think I need to come out of the box and give this a try! You really should try Eggs Benedict! First time I tried it…heaven! Yummy!! I too love hollandaise sauce and Eggs Benedict. I wonder how it would taste over polenta? I’ll have to try it. Your photos jump out at me and right now I haven’t had breakfast so the pictures are making me super hungry. I’m having plain ole cereal — what a let down and reading your post. Great job on it and the series!! Awww, hopefully you will get a chance to treat yourself this weekend! Thank you, Marisa! I think it would be nice over polenta, with some chopped ham or prosciutto! I seldom go out for breakfast, but when I do I order eggs benedict. I think it’s because I love hollandaise sauce. And yet, I’ve never made hollandaise sauce myself. Thanks for this simple recipe. I can do this. Can this sauce be re-heated successful the next day? That is a good question and it can be tricky as it might separate very easily. I would recommend keeping it in the refrigerator and reheating it in the double boiler over simmering water. Whisk it together and if you see butter separating, you can add a little bit of heavy cream to bind it back together. Good luck! Ooo, that does sound like it would be perfect with crab! Thank you, Linda! 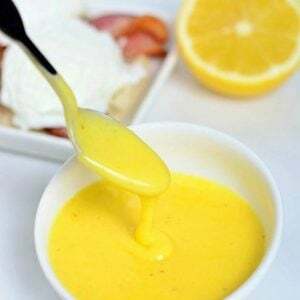 Lyuba, I LOVE hollandaise sauce! I usually whip it up almost every Sunday morning… I’m happy you showed everyone that it truly IS simple. I’m a lover of cayenne pepper, too. This whole recipe looks amazing! Ohhh I need to get myself an immersion blender and try this sauce and dish! YUM! Oh, Julie, you really do 🙂 It’s my second favorite appliance (aside from my stand up mixer)! Thank you!! 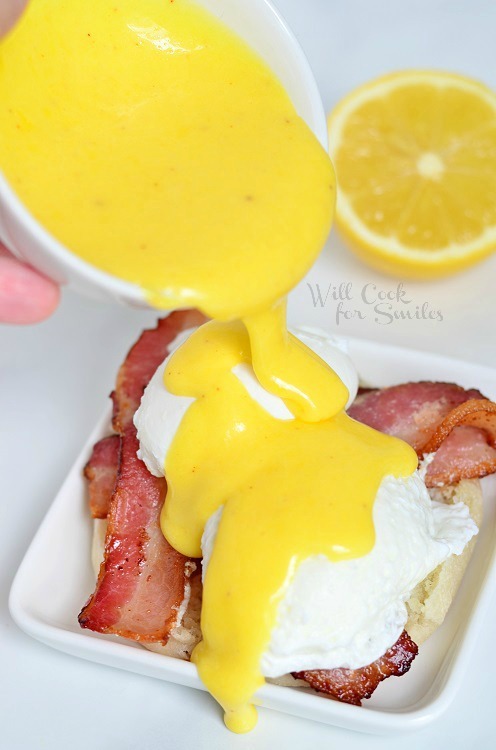 Can you believe I have NEVER tried Hollandaise sauce?? I will have to give it a go with your recipe! ages and yurs iis the greatest I have came upon till now. However, what in regards to the conclusion? Are you certain aboout the supply?